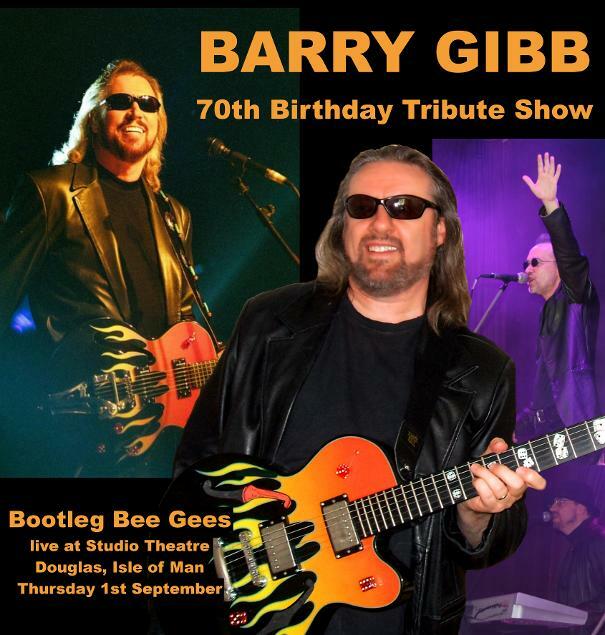 For one night only, the Bootleg Bee Gees trio appeared at the Studio Theatre, Ballakermeen High School, St Catherine's Drive, Douglas, Isle of Man. The concert celebrated the 70th birthday of Barry Gibb. The theatre is located in the street where the Bee Gees were born and raised until 1955, when the Gibb family moved to Manchester. Everyone thoroughly enjoyed themselves as the band paid tribute to one of the Isle of Man's greatest sons. Steve Brookes, Studio Theatre manager said: "Well, what can I say about the Bee Gees night last night? Awesome, Stupendous, Fabulous, Terrific, Amazing, Brilliant - were all comments from those who came to see the Bootleg Bee Gees last night ( Thursday ). The Music was fantastic with us all singing along, people were dancing in their seats, in the aisles and on the floor, a standing ovation and an encore ensued. Thank you so much to Bootlegs Barry, Robin and Maurice for such a wonderful evening of entertainment. Come again soon."